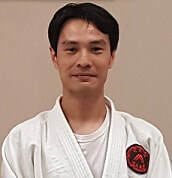 Hùng is the co-lead of the Daito Ryu Aiki Jujutsu Study Group. Hùng started Aikido training in 2008 at Yushinkan Dojo. He travels frequently to further his ongoing study of the martial arts. He is ranked in Daito Ryu Aiki Jujutsu and is a Shodan in Aikido (Aikikai Hombu Dojo, Japan). Rodney Pallett Sensei started his Aikido training in Yoshinkan Aikido and later began study under the Fumio Toyoda Aikido lineage. He is a founding member of Yushinkan Dojo. Rod has trained under Toshishiro Obata, Shinkendo Kaiso, and is the head instructor of Yushinkan dojo's Shinkendo club. 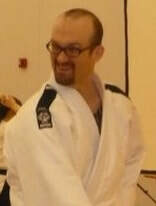 Rod Sensei also studies Conflict Management and regularly trains in a variety of martial arts. He holds the rank of Nidan (2nd degree) Aikikai Hombu Dojo, Japan.